Ramesh Srinivasan, Associate Professor at the Department of Information Studies & Design at UCLA and the Director of the UC-Wide Digital Cultures Lab, has just penned, under the imprint of New York University Press, an important new manuscript on the global shaping of technology and culture. Combining the sensitivity of an anthropologist, the clear prose of a design engineer, and the sophistication of a cultural theorist, his work makes a fundamental appeal for more global analysis that respects the cultural and community diversity of technology. The book asks, in effect, Whose global village is the current digital age? The answer: not ours, not yours, and not theirs. I am reminded of that old chestnut about the Holy Roman Empire being neither holy, Roman, nor an empire; so too is the digital global village neither digital, global, nor a village. 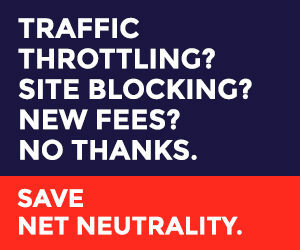 Personally, I might begin by reaching for media forces conventionally considered to be global: namely, the reach of international communication networks (telegraphy, telephony, computers, satellites, and undersea cables). I’d also mark for study the global information flows that animate the innovation trading zones among markets, states, and other knowledge base actors; and, of course, I’d probably emphasize the historical development—some might even say progression—of information technological affordances across increasingly far reaches of space, fast intervals of time, and yawning inequalities of power. I’d probably also call for more non-western case studies literally located outside of North American, Western Europe, and the Pacific Rim. In short, tasked with specifying the major players for understanding global media, I would probably target global information technologies, the neoliberal forces that develop them, and the modern acceleration of mediated space, time, and power. In short, I’d probably make many of the mistakes that Srinivasan’s elegant ethnographic synthesis stands ready to correct. The study of the global technology, he points out, is profoundly local—it does not start with international networks, neoliberal forces, or teleological senses of history or space—and, at best, it balances local appreciation against those actors. This is not to say, of course, that Whose Global Village is somehow blind to the critical sensitivities of global theory and power—just the opposite! Indeed the limits of Srinivasan’s analysis are also its visible strengths: his insights into the global spread of information technologies come with an ethnographic chronicling of local difference—a sensitivity sometimes blurred in the broad swipes of theory-making sans specific case studies. For example, global tech diversity may be nearer than we may think. His chapter case studies take up network digital technologies in the Egyptian Arab Spring and Southern India (conventional non-western case studies) as well as the revealing experiences in the Native American reservations and museums occupying Zuni Native American people and Zapatista lands in the southwest of the US. For many, mobile devices function first as flashlights, not phones. The variety of global technological cultures is far closer to home. I understand “fluid ontology” to basically articulate a call for researchers to continuously avail themselves to the emerging reflection and consensus-building practices of the community they study. A fluid ontology practitioner embraces messiness and seeks partial, emerging, adaptive, and unstable insights in the interactions between technologies and communities, whose meanings remain in Srinivasan’s hands robustly and resolutely local. So much so good, although, of course, quibbling scholars will quibble: I, for one, am not yet convinced that the (appealingly unsexy) noun “ontology” is the right word for the job. In his own admission, the term freights in the work of the cognitive scientist Marvin Minsky and the computer science lexicon for specifying the underlying assumptions by which knowledge may be formally and logically mapped in a system. And yet it is precisely this kind of locally rigid prior taxonomies that Minsky and his ilk assume to be at work in the shaping of technology and culture that Srinivasan’s fluid methods and collaborative practices promise to work around. A curious intellectual debt, this! Srinivasan’s work is openly committed to helping the reader understand the specific, the local, and community-based meaning of technology. It situates itself in open contrast to how one might, with legible ontologies in hand and a nod to James C. Scott, “see like a state.” But perhaps my own sense of the inconsistency here—that privileging a formalist term is less than optimal for describing the messy, vibrant world of actual meaning of technology in culture—stems from a stiffness in my own preference for words. Among other critical questions one might ask, perhaps fluid practice also means co-opting troublesome terms from the state and system builders—and if so, at what cost? (Under what conditions, I wonder, will a fluid freeze solid?) What, if any, work does “ontology” do in Srinivasan’s argument that cannot be undone by the privileging of fluid research practices in Srinivasan’s book? My grousing aside, there is much more to learn along the way from case studies that detail how museum exhibits, even as they build public memory, can also silence diversity; how one can often learn more from community disagreement than consensus; how world-listening is preferable to world-building; how instead of vaulting the internet as the network of networks, scholars might instead follow the local activists he chronicles in adapting to the “splinternet” for precisely the incompatible community standards and conflicting commitments one encounters online. In short, the world surely does not want or need one single universal standard to “fix” the internet or its many problems. Perhaps there was never one world, but many subworlds whose stories deserve sharing. May this local world of digital media scholars–Culture Digitally readers–benefit from a fuller appreciation, with this book in hand, of the diverse cultural networks that staff and attend the globe’s many ongoing villages dramas. 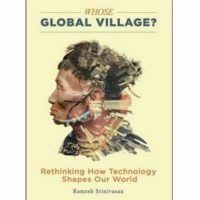 Whose Global Village is now available via Amazon, NYU Press, bookstores, and more. You can directly engage with Ramesh Srinivasan via twitter (@rameshmedia) and his website: rameshsrinivasan.org. The website includes many of his media appearances and articles, including recent engagements with MSNBC, CNN, the Young Turks, and more. The book is available via the NYU press website with a 20% discount by entering the code WGV20.